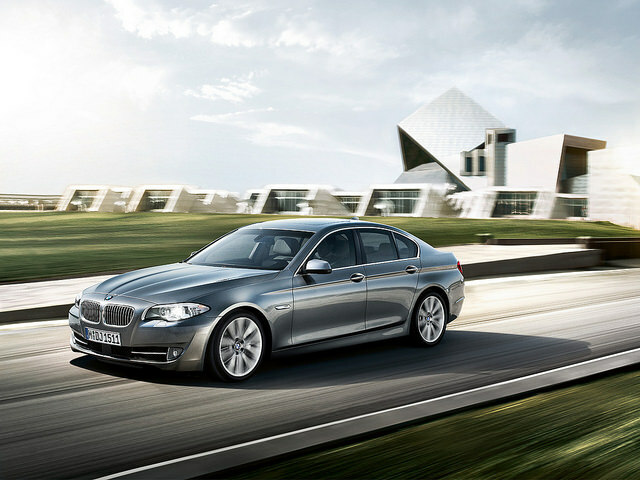 The BMW 5 Series is one of the best sedans with all-wheel drive sold on the market today. The roomy sedan is only sold with turbocharged engines. The drivetrain options for consumers include a gasoline four-cylinder, diesel inline-six cylinder, V-8, an inline-six cylinder, and a gas –electric hybrid. Each of the engines is paired with an eight-speed automatic transmission, and all but the hybrid are sold with the option to have all-wheel drive installed on the automobile. The overall gas mileage rating of the sedan is 20 MPG (city) and 29 MPG (highway). The top overall speed of the car is 127 MPH, and the vehicle can go from zero to 60 MPH in just 5.3 seconds.